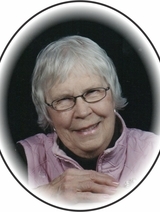 It is with great sadness that the family of Ida June McDonald announces her passing on Thursday January 17, 2019 at City Hospital in Saskatoon at the age of 88. June was born on June 12, 1930 in Kinistino Sask. to William and Mabel Dunlop. She grew up in Kinistino and married Roy McDonald on August 15, 1945. They raised one daughter, Joan and two sons Tom and Bill. June was a kind and loving person who always had time to help someone in need. She had several passions in her life, her children and grandchildren, her music (there was always a piano in her home), her commitment to Tiny Tot Day Care and her faith. She loved to walk and did so everyday as long as she was able. This included walking to church every Sunday even in the winter. June was pre-deceased by her father, William Dunlop and her mother, Mabel Dunlop and her siblings, brothers Lang and Robert Dunlop, sisters Elizabeth Jones, Florence Stevenson and Jessie McDonald, brothers-in-law Herb Jones, John Stevenson and sister-in-law Margaret Dunlop. She is survived by her three children: Joan (Alcide) Boyer, Tom McDonald and Bill (Sandra) McDonald; her brother-in-law Archie McDonald and sister-in-law Ada Dunlop; her three grandsons Kim (Shelley), Robin (Susanne), and Mark (Lynn) Boyer; her twelve great grandchildren and one great great grandson and many loving nieces and nephews. At June's request there will be no funeral at this time. A graveside service will be held in Kinistino at a later date. 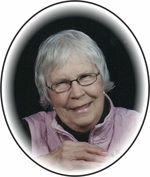 Memorial donations in memory of June may be made to the Alzheimer’s Society of Saskatchewan. Funeral arrangements have been entrusted to Marc Blondeau of Kushneryk Funeral Service, Wakaw, SK, 306-233-4403. To send flowers to the family of Ida June McDonald, please visit our Heartfelt Sympathies Store.